On this Second Sunday of Easter, the Gospel tells of the encounter of the Apostle Thomas with the Risen Jesus which leads to his supreme profession of faith, “My Lord and my God!” I want to recall today how we who have not seen and yet believe come to this encounter of faith with Jesus Christ now in His Risen Body. It is an encounter which leads us in the Holy Eucharist to constantly renew Thomas’ profession of faith: “My Lord and my God!” In this Year of the Eucharist, I have reflected with you on how Christ loved us to the end by entrusting to the Church the Sacrifice and Sacrament of the Eucharist. Today, I want to recall how He invites us to the most intimate communion with Himself which we rightly call ‘Holy Communion’. 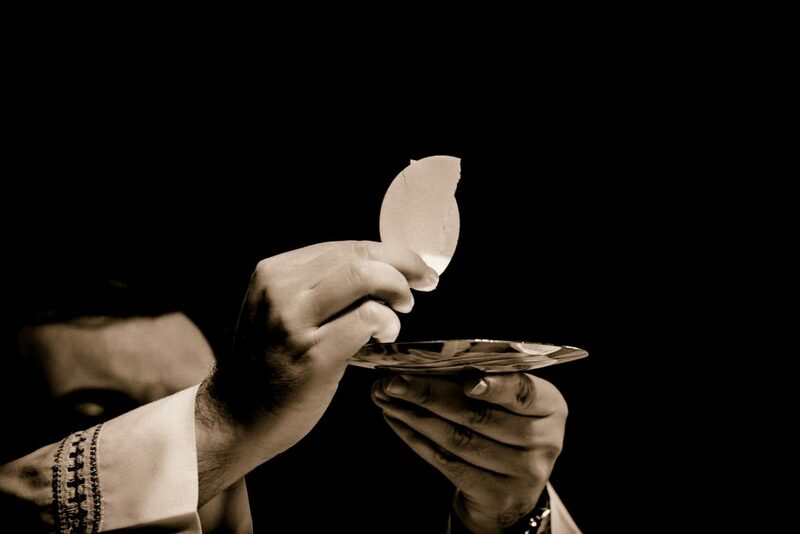 The Catechism of the Catholic Church reminds us: “To receive Holy Communion is to receive Christ himself”.